We often hear the term ‘lifelong learning’ – the “ongoing, voluntary, and self-motivated” pursuit of knowledge for either personal or professional reasons. Lifelong learning may sound a bit cliché, but I came across a video recently that truly put into perspective the importance of lifelong learning as a means to remain relevant throughout your career. The video is a live demonstration of an IBM 1401 Data Processing System including working keypunches, printers, card readers, sorters and tape drives. It’s on exhibit at the Computer History Museum in Mountain View, CA. It’s a fascinating look back at what was considered high tech in the computing world in the mid-1960s. Watch the video, then imagine a fresh college graduate from 1965 working with this technology and the amount of ongoing formal education and self-directed learning they would need to consume to remain relevant over a typical four-decade career. 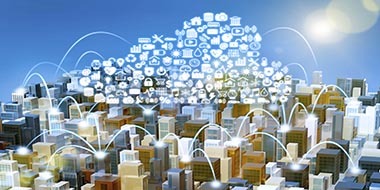 The transformation of computer technology from 1965 to 2005 is mind-bending, and an IT professional would have needed to reinvent themselves professionally many times over to remain essential over that time span. Fast forward to today with AI, Cognitive, Cybersecurity, Quantum and other fascinating innovations in computing, and it’s easy to understand how rapidly skills can become obsolete if you are not constantly learning. The concept of lifelong learning is more profound than ever. It’s the most important part of your professional career survival kit no matter what you do or where you work and embracing it will be life changing. If you consider yourself a lifelong learner and practitioner of IBM technology, there is no better place to find continuing education than the IBM Skills Gateway. There you will find a wide arrange of digital and instructor led training offerings, structured learning journeys and information on how you can earn IBM Digital Badge credentials. Jim Daniels is a senior manager for IBM’s education and credential initiatives aimed at driving transformation and expansion of IBM’s training and skills recognition programs worldwide. Jim has served in a range of global leadership roles, with emphasis on education development and delivery, professional consulting, and technical sales business strategy and execution. This includes the development and launch of IBM’s first self-paced virtual course delivery strategy, along with the first self-paced learning library platform leveraged by IBM’s worldwide services and technical sales organization. 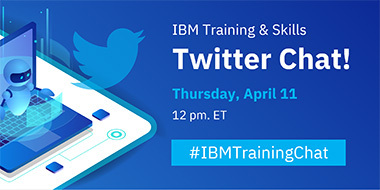 Join our first IBM Training & Skills Twitter Chat!